rogers_sporting_goods has no other items for sale. Sales tax may apply when shipping to: IA*, MN*, MO(8.6%), WA*. Awesome , thanks, A+ ebayer. Great product, fast shipping, great EBAYER!!!! These binoculars are from a Chinese OEM and have been sold under numerous brand names. In the first versions, the optics were good but the mechanics had quality control issues. The biggest problem was having some play in the focusing unit. 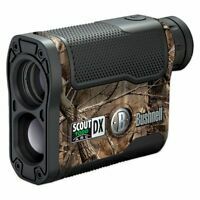 Bushnell seems to have resolved all these issues and improved the optical quality as well, most likely through better lens coatings. At any rate, I would rate these binoculars as a spectacular value for the money. I own alpha binoculars as well (Zeiss, Leica, etc). These Legend M series are not as good as the $2000 and up alphas, but they are surprisingly good. I could be quite happy using them as my main birding bins. I really don't find anything to complain about them at all. 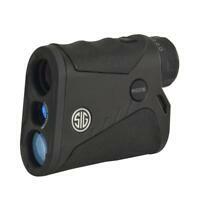 They are bright and sharp, they have a large field of view and the focusing unit is excellent. The eye relief is a little short, though. If you wear thick glasses you may not be able to see the entire field of view. But other than that, there really isn't anything not to like. Highly recommended. A great pair of binoculars. Being able to lock in your vision requirements without having to hunt around for a clear focus is a great feature. They are a little heavier than expected, but this also allows a steadier view. Brightness and clarity are superb. I use them for travel and birding. Purchased these about a month ago and have been using them daily. Couldn’t believe how clear they were the first time I looked though them. Used them over the weekend to view egrets feeding at nearby wetlands. Sharp images and easy to focus. Great build quality too. These have a metal diopter ring for those wondering about that which seems to be an issue with the previous generation of these binoculars with a plastic ring. These are very highly recommended online and are a great value at under $153. Thinking of getting a second pair. Best 8x42s for the money, Or quite a bit higher. I bought these because of the price, and the wider field of view and closer focus than a lot of 8x42s that are out there. I have not been disappointed in any aspect of them. The focuser is very smooth, they are very nice and easy to hold and give great views. Very glad I finally bought a pair. Highly recommended. This is a fantastic binoculars. 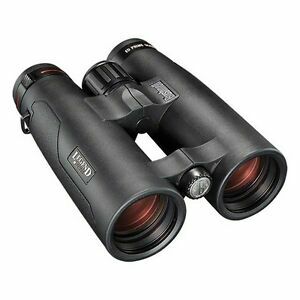 I mainly use it for stargazing &bird watching and find it very promising. Several highlights I want to share: 1) No purple fringing on moon and false colors on moon&very bright stars like Sirui and Vega. 2) Stars lower than 2 mag are pinpoints. Higher than 2 mag should mainly comes from my eye astigmatism 3) Begin to show curvature around 60%-70% of the circle. It is not bad giving its 8.1 degree view angle. 4) Close focus is definitely an advantage 5) Open-bridge, dual-hinge design is good to balance especially when using one hand to hold. 6) Fog proof is very useful when move it from outdoor to indoor during winter time! 7) Unbeatable Value with super performance given its relative low price.